Visiting Seattle or new to the area? You might need some resources for getting around town. Seattle's core is not large and walking is often an option if you’re sticking to the downtown area, but the metropolitan area is sizeable and often fraught with traffic. Using King County Metro buses, Link Light Rail or Sound Transit (a larger, regional bus system that can get you to other nearby cities) can help you skip dealing with driving. But beyond that, Seattle's unique geography means you might need to catch a ferry to get where you're going. Bikes are also a popular way to get around and the Seattle Department of Transportation produces maps to help new bikers learn the best way to get from point A to B. No matter how you choose to get around, here’s what you should know. King County Metro is Seattle’s main method of public transportation – Seattle’s vast network of buses. The system crisscrosses downtown Seattle and can take you as far north as Montlake Terrace and as far south as Federal Way. Riding the bus might take a little longer than driving, depending on whether the route is an express route or has stops along the way, but it will help you avoid paying for parking or navigating Seattle’s traffic. Fares and How to Pay: The base fare is $2.75 with discounts for youth, seniors (with Regional Reduced Fare Permit), and kids 5 and under are free. Fares are due when you board a bus and you can pay either with exact cash (or forfeit your change if you don’t have the exact amount as fare boxes don’t give change), with an preloaded ORCA card, with bus tickets, or with a Transit GO ticket, which are available via the Transit Go app. Hours: Many Metro buses operate seven days a week and several routes operate nearly around the clock. The Night Owl Network has opened up more routes for operation between midnight and 5 a.m., including most routes through downtown Seattle, to Seatac airport, and other popular spots. However, hours vary depending on the route and day of the week so always check the bus schedule before you head out. Transfers: If you’re paying cash or with a ticket and need to transfer, ask your driver for a paper transfer when you board. This transfer also serves as your receipt. If you switch to another system of transportation, then you’ll need to pay a new fare as Metro fares are only good on Metro buses (for instance, if you switch to a Sound Transit bus, your transfer will not work). If you’re transferring with a Transit Go ticket, then your ticket on your phone will remain good for any Metro bus for up to two hours from when you activate it. Accessibility: Metro buses have lifts or ramps for wheelchairs, scooters and anyone with trouble climbing steps. If you have questions about accessibility on buses or other forms of transportation, Metro can help here. For more information about King County Metro buses, services, schedules and more, check out their website. Sound Transit: Sound Transit operates hand-in-hand with King County Metro. Where Metro operates within King County, Sound Transit links together communities and cities as far south as DuPont and Tacoma, as far north as Everett, and as far east as Sammamish and Issaquah. Where Metro is a bus system, Sound Transit offers express buses, Link Light Rail and the Sounder commuter train. Link Light Rail is an enjoyable way to skip past traffic if where you’re going is near one of its stops, and it’s also a popular way to get between Seattle and the airport. The Sounder commuter train has fairly limited hours, but it’s also a way to skip traffic if you’re traveling between Seattle and Tacoma or Seattle and Everett. Ferries: Seattle’s location on the Puget Sound means getting to many places isn’t possible via car or train or light rail. You’ll need to go over the water. Seattle’s extensive ferry system is both practical and fun. Many ride the ferries to commute between their homes and work, but it’s also a lot of fun to hop on a ferry to see Seattle from the water – the Bremerton ferry is a good choice for this with stellar views of the Seattle skyline. You can drive or walk onto most ferries. For a full list of routes, schedules and fare costs (which vary widely depending on route, and whether you’re driving or walking), check the WSDOT website. Water Taxis: Where ferries allow you to walk or drive on, water taxis allow walk-on passengers only. Seattle has two routes you can hop on to expand your wander radius – to West Seattle and to Vashon Island, both via the ferry terminal on Pier 52 on Seattle’s waterfront. Seattle Monorail: The Monorail is mostly viewed as a touristy thing to do – and it is – but it’s also a way to take a quick jaunt between downtown’s Westlake Center and Seattle Center. Streetcars: Streetcars travel on the streets, but on rails, kind of like a cross between light rail and buses. Seattle has just two streetcar lines, one in South Lake Union (with stops throughout South Lake Union, Denny Triangle, and McGraw Square) and one in First Hill (with stops in Capitol Hill, First Hill, Yesler Terrace, Central District, the International District, and Pioneer Square. These are great if you are staying near one of the lines and need a way to hop around the neighborhood. Taxis: Seattle has several taxi companies. Taxis are often easiest to find either at the airport or at major hotels. Of course, services like Uber and Lyft have also moved into town, as have several car share programs, so there's no shortage of ways to get a ride. Bikes: Bikes are popular in Seattle and you’ll find plenty of bikes lanes. Seattle maintains a bike map to help riders look at local routes, trails and bike rider amenities throughout the city. Car Rentals: There are ample car rental companies, mostly concentrated in and around the airport about 10 minutes south of Seattle. You can book a car rental in advance online via travel websites or car rental company websites, or you can visit a car rental counter at the airport, and some hotels may be able to help you book a car as well. Greyhound: Greyhound service is available in downtown Seattle with its main hub at 811 Stewart Street. 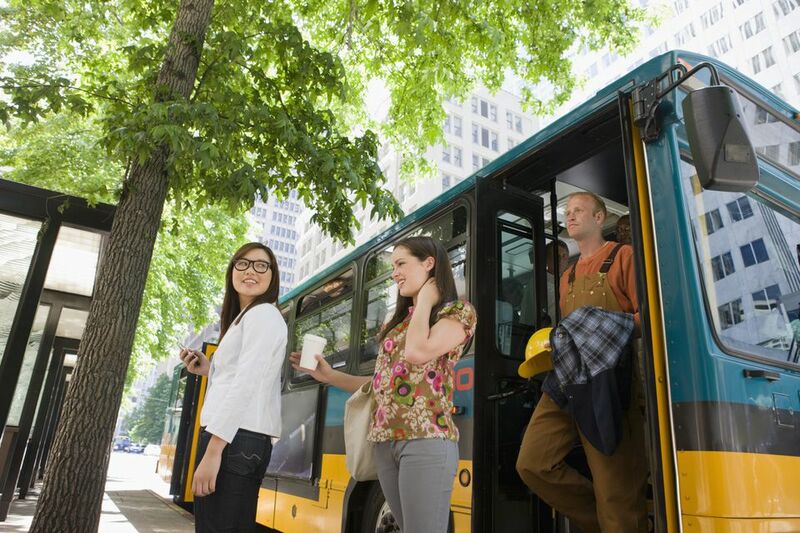 While King County Metro and Sound Transit both offer bus service to areas outside of Seattle, Greyhound is a good resource if you need to get to another city in the region beyond what they offer. Amtrak: Amtrak runs out of King Street Station in Seattle at 303 S Jackson Street. If you want to get out of town and head down to Portland or up to Vancouver, BC, this is a scenic way to do it. Victoria Clipper: Clipper Vacations was once known exclusively for this high-speed, passenger-only ferry service to Victoria, BC. The company now serves as a full vacations company and also offers ferry service to Vancouver Island, Vancouver BC, and the San Juans, as well as vacations to many locations around the Northwest. Seattle is a hilly city. If there is a rare case of snow, bus routes can and do change and service may become more limited to some areas as it can be unsafe for even buses to go. Likewise, if you plan to walk around downtown, be prepared for some elevation. You will get a bit of a workout hoofing it up and down the hills. Seattle’s rush hour is some of the worst in the country. If you have anywhere to be between 6:30 a.m. and 9 a.m. or between 3 p.m. and 6:30 p.m., allow extra time to get there and check traffic maps in advance. If you plan to take public transportation, use the Trip Planner app instead of trying to figure out all the schedules and transfers on your own. Trip Planner works across bus service, light rail, train, ferries, water taxis, and the monorail. Just about all forms of public transportation involve taking longer than it would to drive, even with the traffic delays. If it’s most important to you to have full control over when you get where you’re going, your best bet is to rent a car. If it’s most important that you don’t deal with paying for parking or having to navigate Seattle’s sometimes narrow and sometimes chaotic streets, then public transportation is a great way to go. Walking around downtown Seattle is entirely possible without the need to drive or ride public transportation from one attraction to the next.